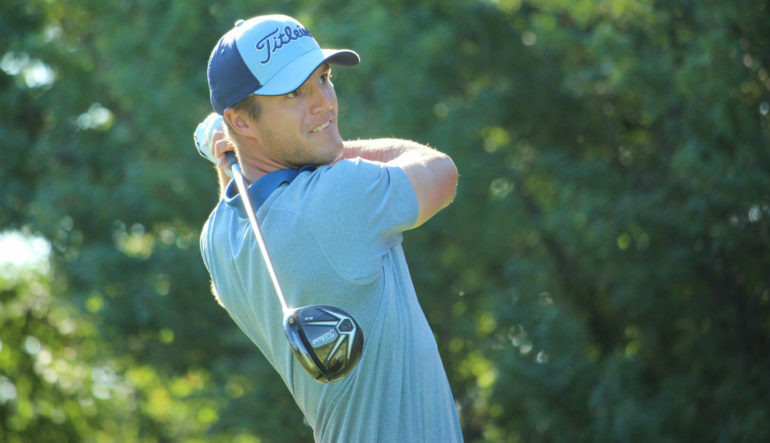 Garrett Rank, from Elmira, Ont., carded even-par 69 in Thursday’s second round at the Monroe Invitational in Pittsford, N.Y to hold a share of fourth at 3 under par after 36 holes. Rank started the day at the Monroe Golf Club with a share of second after an opening-round 66 (-3). After back-to-back birdies on holes No. 11 and 12 the three-time defending Canadian Men’s Mid-Amateur Champion was 2 under par for the round before bogeys on 14 and 17 put him back to even par. He is one stroke behind leaders Justin Tereshko (Jamestown, N.C.), Tyler Strafaci (Davie, Fla.), and San Jose, Calif., native Shintaro Ban—who’s second round 63 (-6) was the lowest of the day. The 28-year-old is coming off a semi-final appearance with partner Patrick Christovich at the U.S. Amateur Four Ball in Pinehurst, N.C. at the renowned Pinehurst No. 2 from May 27-31. Fellow Canadians Joey Savoie, (Montreal, Que. ), Josh Whalen (Napanee, Ont. ), Maxwell Sear (Unionville, Ont. 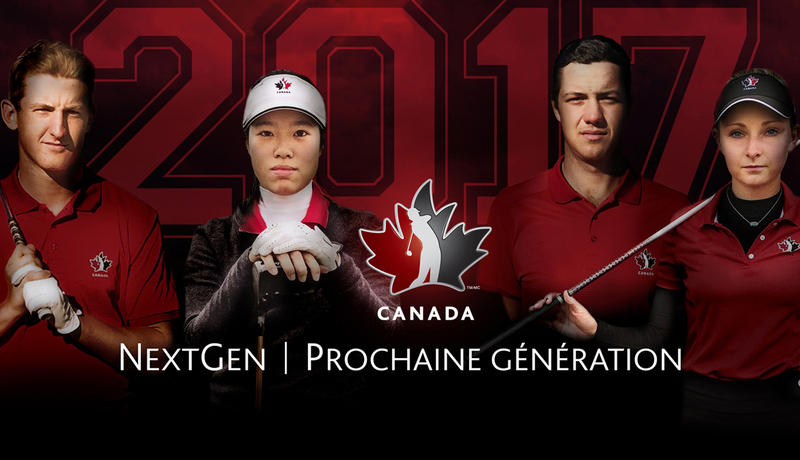 ), and Blair Bursey (Gander, N.L.) are all T15 at 1 over par. 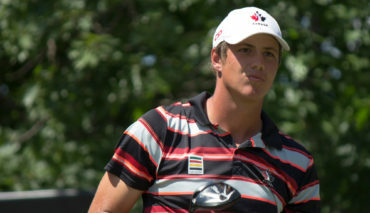 Team Canada Development Squad golfer A.J Ewart from Coquitlam, B.C., is T29 at 3 over par after a second-round 70 (+1). Ewart’s Development Squad teammate Peyton Callens (Langton, Ont.) carded a 1-over-par 70 in the second round to sit T41, one stroke ahead of Amateur Squad golfer Hugo Bernard (Mont-St-Hilaire, Que. 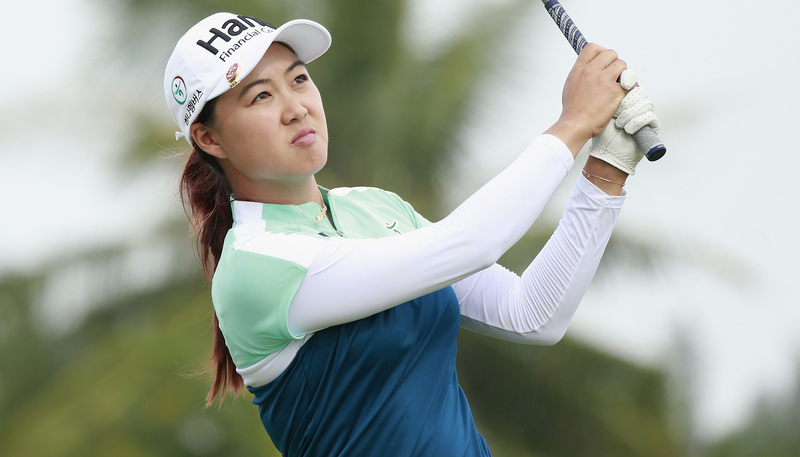 ), who posted a second-round 71 (+1) to sit T46 at 7 over par. Bath, Ont., product Austin James — the second member of the Team Canada Amateur Squad in the field this week — shot a 3-over par 72 on Thursday to sit T57 (+8).